Bring the tropics to your projects with Basic Grey's South Pacific Collection, with hand selected products exclusively from FotoBella! 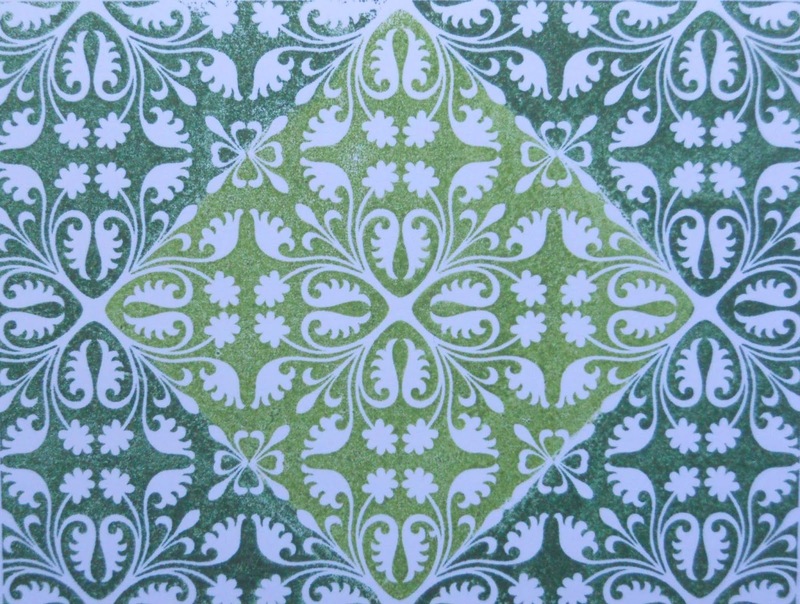 The Floral Wallpaper stamp has a beautiful pattern, which I made to look like a quilt, in this card that can be used for any occasion. 1. 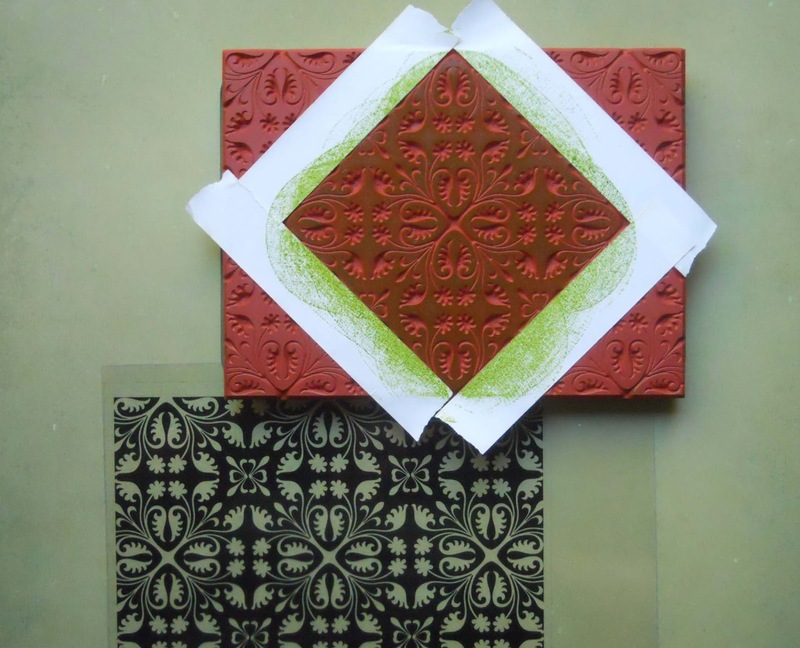 Find the diamond square within the design of your stamp, and mask it off with your tape. Apply the medium green ink to the square. 2. 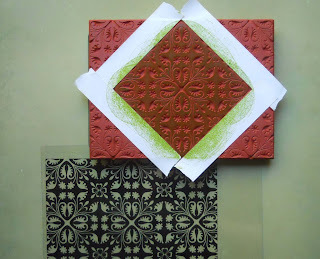 Take off your tape and apply the dark green ink to the outside of the square. 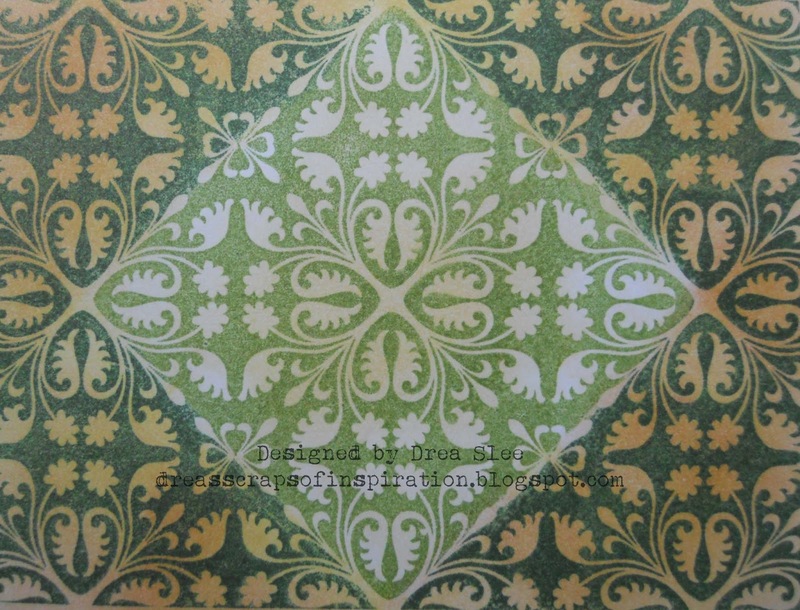 Stamp onto white cardstock. 3. Use your blending tool to cover the white background with some Distress Inks. I started by adding Old Paper and Antique Linen to the entire image, going a little darker outside of the middle square. Then I used Scattered Straw, and finished it up with Tea Dye on the outside, and a little smudge of it right in the center of the lighter square. 4. 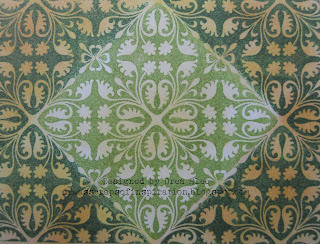 Cut stamped image leaving about 1/8" on the edge, so you can distress them with the Tim Holtz Paper Distresser. Place your image on the back of the Cooks Island paper, so the pattern makes a frame around the image, and cut about 1/2" around it, distressing the edges. Glue the green ribbbon that comes in the Ephemera to the center of the paper horizontally, leaving the ends about an inch or two longer than you need. 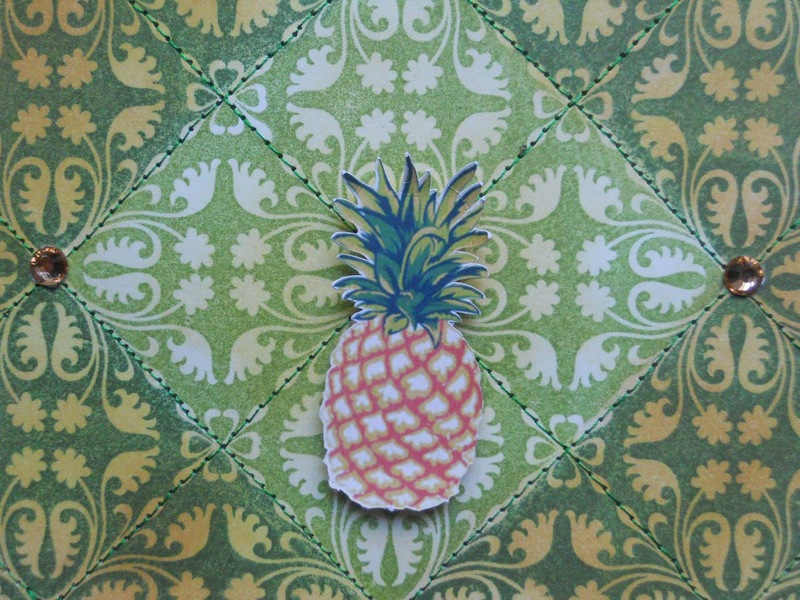 Now lightly glue your stamped image to the center of the Cooks Island paper, and stitch along the pattern to create a grid design, which gives it a quilted look. 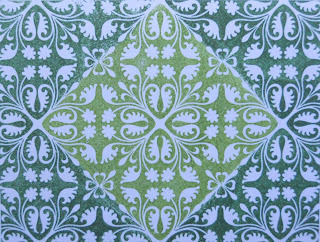 Cut about a 1/4" bigger from the back of the Papua New Guinea (green) paper, and distress the edges. Stitch around the edges and glue to a dark green card, adding your other layers on top. 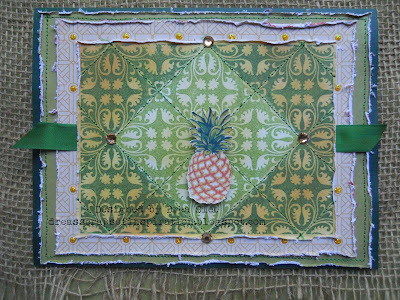 To enhance the middle square, I added some of the FotoBella Amber Rhinestones to the corners. I also added some Yellow Stickles to the paper under it, right over the dots on the paper. 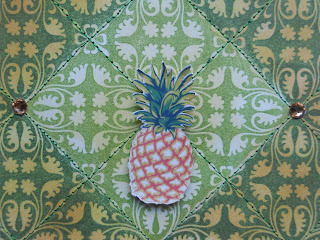 To finish it up, I popped up the pineapple that comes in the Ephemera, placing it right in the center of my card.